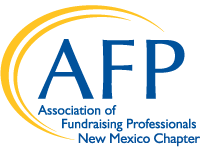 Jessie Calero is a young nonprofit professional who was born and raised in Albuquerque. Jessie received her Bachelor’s and Master’s degrees from the University of New Mexico, focused on inclusive education through the arts. She has twelve years of experience working with individuals with disabilities, nine of which were within the nonprofit sector. Now serving as the Development Director at Mandy’s Farm and as a disabled individual herself, Jessie actively works in the community to improve programming, accessibility, and resources for individuals with disabilities.